The lack of EHR interoperability continues to pose a serious threat to healthcare initiatives, according to a recent report published by the American Hospital Association (AHA). The report discusses the various aspects of the healthcare industry and care delivery that are negatively impacted by a lack of interoperability. The report notes that the exchange of health information is critical for the coordination of care. When patients receive care from multiple different providers, physicians should be able to securely send relevant patient information to the practicing physician. However, that tends not to be the case because EHR systems are not interoperable and cannot exchange information. Last year, The ECRI Institute released a survey outlining the Top Ten Safety Concerns for Healthcare Organizations in 2015. The second highest concern was incorrect or missing data in EHRs and other health IT systems caused by interoperability. For the second year in a row, EHR data is identified as a concern. The Partnership for Health IT Patient Safety, a branch of the ECRI Institute, has released safe practice recommendations for using the copy and paste function in EHRs that can adversely affect patient safety, such as the use of copy and paste that can overpopulate data and make relevant information difficult to locate, according to the partnership’s announcement. Meanwhile, a survey of 68 accountable care organizations conducted by Premier, Inc. and the eHealth Initiative found that despite steep investments in health information technology (HIT), they still face interoperability challenges that make it difficult to integrate data across the healthcare continuum. The survey found that integrating data from out-of-network providers was the top HIT challenge for ACOs, cited by almost 80 percent of respondents. Nearly 70 percent reported high levels of difficulty integrating data from specialists, particularly those that are out-of-network. The Office of the National Coordinator for Health Information Technology (ONC) is once again asking the health care community for its thoughts on establishing metrics to determine if or to the extent to which electronic health records are interoperable. The push to achieve interoperability is in response to last year’s mandate by Congress, contained in the Medicare Access and CHIP Reauthorization Act (MACRA). Among provisions of that law is a requirement to achieve “widespread” interoperability of health information by the end of 2018. When it comes to how Health Information Exchanges (HIEs) handle the challenges associated with interoperability, a recent Government Accountability Office (GAO) report cites the following barriers--insufficient health data standards, variations in state privacy rules and difficulty in accurately matching the right records to the right patient. In addition, the costs and resources necessary to achieve interoperability goals, and the need for governance and trust among entities to facilitate sharing health information. In its annual interoperability survey of hospital and health system executives, physician administrators and payer organization IT leaders released in April 2016, Black Book Research found growing HIE user frustration over the lack of standardization and readiness of unprepared providers and payers. Of hospitals and hospital systems, 63% report they are in the active stages of replacing their current HIE system while nearly 94% of payers surveyed intend to totally abandon their involvement with public HIEs. Focused, private HIEs also mitigate the absence of a reliable Master Patient Index (MPI) and the continued lack of trust in the accuracy of current records exchange. Public HIEs and EHR-dependent HIEs were viewed by 79% of providers as disenfranchising payers from data exchange efforts and did not see payers as partners because of their own distinct data needs and revenue models. Progressive payers are moving rapidly into the pay-for-value new world order and require extensive data analytics capabilities and interoperability to launch accountable care initiatives. Those looking at touted standards such as Fast Healthcare Interoperability Resources (FIHR) point out that it is only capable of connecting one medical facility to another and requiring specific end point interfaces to even do that. For every additional facility, a customized interface must be built. At the end of the day, FIHR is really a point-to-point customized interface requiring extra steps and ties developers to specific hospitals or EHRs and without universal access. Patients are at risk, common interoperability solutions are not solving the problem and health care providers are not given the best life saving tools. Some 2.0 healthcare vendors are turning to middleware solutions that have proven themselves in other industries. Vertical markets such as retail, banking, transportation, and others have long ago solved interoperability with middleware. “A middleware architecture has been shown to be the best technological solution for addressing the problem of EHR interoperability. The middleware platform facilitates the transparent, yet secure, access of patient health data, directly from the various databases where it is stored. A server-based middleware framework supporting access to the various patient health data stores allows for a scalable, unified and standardized platform for applications to be developed upon. The middleware architectural design has been successfully used to link data from multiple databases, irrespective to the database platform or where the database is located,” says Voltz. He believes middleware should be the standard operating system for EHRs to finally bring lack of interoperability to an end with the risk of HIEs. Most importantly, he challenges the medical community to provide a better solution to a problem that can be addressed today rather than waiting for the ONC’s standard to be issued in 2018. “Every stakeholder in the healthcare continuum cannot establish the infrastructure needed to support interoperability, as evidenced by 83% of physician practices responding and 40% of hospitals that currently admit they are still in the planning and catch up stages of sending and sharing secure, relevant data. The challenge of turning silos of medical and financial information into a linked, complete, accurate secure lifetime medical record is still tenuous,” says Brown in his survey. “However, middleware is gaining popularity fast by hospitals using EHR-dependent HIE systems with extremely expensive custom development for data sharing outside the network,” Brown noted in his survey. Black Book evaluated middleware vendors in an associated Q1 2016 user survey, ranking HealthMark, Zoeticx, and Arcadia Healthcare Solutions highest in satisfaction among new users. In response to alleviate concerns of HIEs with poor connectivity outside their IDNs and hospital systems, interoperability middleware is also a fast growing consideration according to 16% of hospital systems IT leaders with EHR-dependent HIE grievances. Middleware software sits within the data pipeline and translates data from disparate EHRs which shows promise for private HIEs, particularly payer-centric enterprise models. It creates a business intelligence layer that provides information to all stakeholders in real time. Promises made in the recent interoperability pledge for three core commitments from EHR developers (providing patient access, eliminating information blocking, and implementing federal connectivity standards) won't be the reason why interoperability succeeds, predicts Black Book's survey results. The global healthcare analytics market is projected to grow to $18.4 billion in 4 years (by 2020) and the need for that complex data will propel the interoperability needs of providers and payers. "The only way to accomplish that is robust bidirectional interoperability and that's what will ultimately force comprehensive interoperability into reality, not government-scripted vendor pledges,” says Brown. 57% of providers also confirm their beliefs that the whole interoperability industry will evolve by leaps by 2018 if some basic issues are addressed, with or without a vendor pledge, Brown finds. Frost & Sullivan issued a report in January of this year stating that lack of interoperability in healthcare IT and devices, along with a push from the Office of the National Coordinator for Health Information Technology will lead to middleware, connectivity, and application program interface (API) platform vendors seeing a jump in their revenue. "Middleware should be the heart of an EHR's operating system. It will enable medical institutions to seamlessly connect multiple EMRs, resulting in a convenient, consistent and universal view of patient records from a single platform, regardless of where they reside," says Tiffany Casper, CEO of EMR Consultants, Inc. She implements EHR systems for medical facilities and has used the Zoeticx Patient-Clarity platform. Ten reasons to consider middleware as a standard. · Application Developers Can Focus on Healthcare Apps—Enables medical record app developers to focus on their healthcare solution by freeing them from dealing with a diverse, complex EHR infrastructure. · Inspires the Next Generation of Healthcare Innovative Solutions—These solutions are inspired by expanding the market for the next generation of healthcare applications rather than being tied down to a stack approach, depending on the particular EHR vendor. · Improves Patient Care Outcomes—Patients will receive better healthcare outcomes when application developers can inspire more applications. Patients will also benefit from the next generation of applications as they will address providers’ specific needs in diverse operational care environments. · Saves Healthcare IT Dollars—Focuses the healthcare IT budget on addressing providers’ needs instead of building and re-building the patient record infrastructure. · Proven Technology—A proven technology used for decades in many industries such as financial, retail, manufacturing and other markets. · Easy Integration—Enables healthcare integration with diverse, deployed legacy systems, including EHR systems. It addresses EHR interoperability as part of overall integration challenges. · Passive to Active Healthcare IT Environment—It turns passive healthcare IT environments into active ones to enhance communication and collaboration among care providers. · Avoids Data Duplication—Cost efficient, simplified administration. Offers a better privacy protection solution than HIEs by addressing EHR interoperability while fulfilling the demand to support the patient care continuum in an operational care environment. · Eliminates Wastefulness—Addressing healthcare IT integration is much more cost efficient than the “Rip-and-Replace” approach. · Extends EHR Usefulness—Protects and extends healthcare IT investments in EHR and EMR systems. 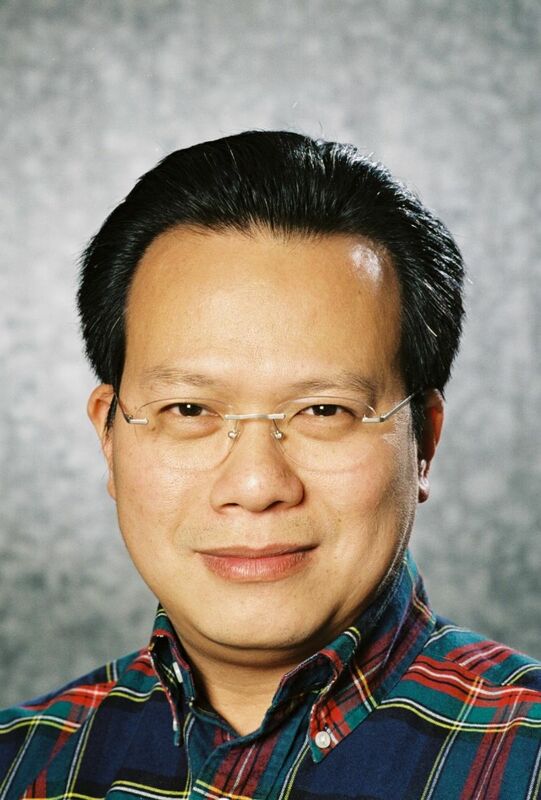 Thanh Tran, CEO, Zoeticx, Inc., a medical software company located in San Jose, CA. He is a 20 year veteran of Silicon Valley’s IT industry and has held executive positions at many leading software companies.